for cozy time and storybook reading. 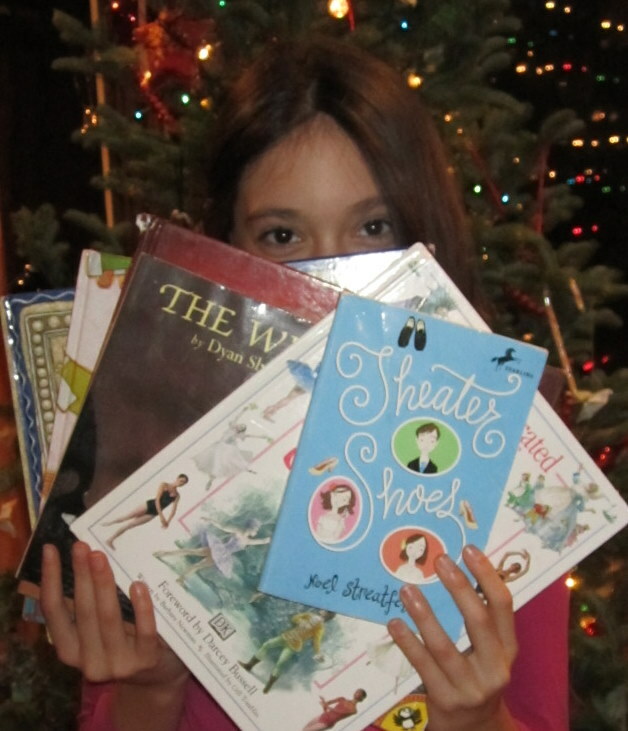 So we thought it would be fun to share some of our favorite holiday books and to suggest some books in case you are looking for books to give (or read) this holiday season. click comment and tell us yours! 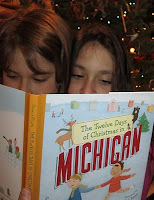 illustrated by Deb Pilutti The Teacher sent The Sisters The Twelve Days of Christmas in Michigan and what fun it is! Both girls LOVE it. 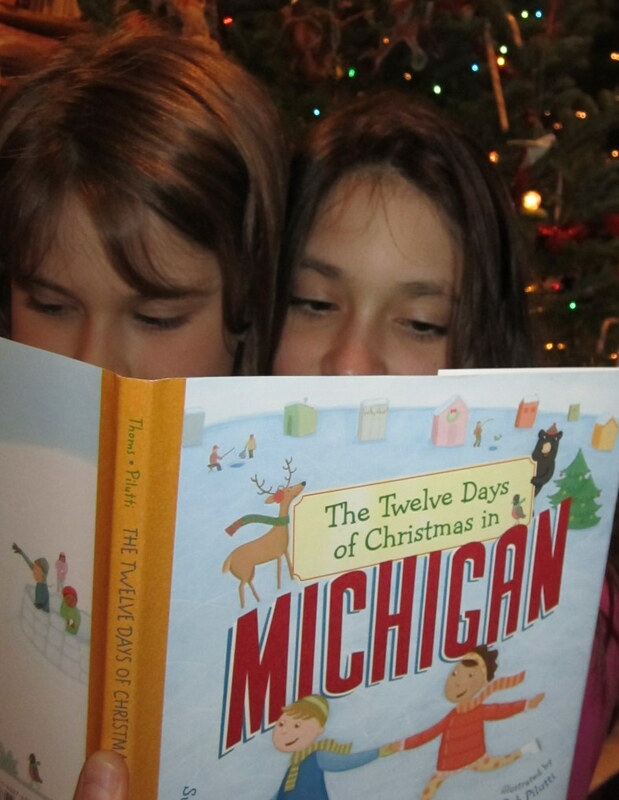 Say's Big Sister, "it is FULL of great stuff about Michigan." Notice in the photo: neither of them can take their eyes off of the book! The Sisters bought this book at the Traverse City Children's Book Festival. Another winner by Kate DiCamillo, author of Because of Winn Dixie and Tales of Desperaux. This book is just plain fun. While you are here, don't forget to read our wonderful interview with author Susan Messer we HIGHLY suggest her book to read and give too! The Mom got this for The Big Sister and I when the Big Sis was really little. Every time we read this book we escape into the book, every TIME! i just read a LOVELY book, hundred foot journey. but i think i already told you all this. let's see...i love the ones you have shown us - and found a few new ones to read! we ALWAYS give and get books for christmas. 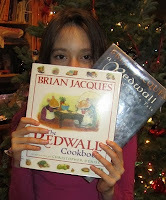 i love getting cookbooks, esp. :) YUM! I would give (except I already have) Of Thee I Sing by Barack Obama. At our family Thanksgiving celebration, I brought a copy for each family and distributed them just before we were ready to sit down for dinner. Then, with my two grandnephews (ages 9 and 10) seated on the floor with the book in their laps, and my grandson (age 6) next to me, sharing his family's copy, we read it aloud. It's a memorable experience ending with, "Have I told you that I love you?" I plan to send it to my 45 year old daughter, who couldn't be with us, as a Valentine. 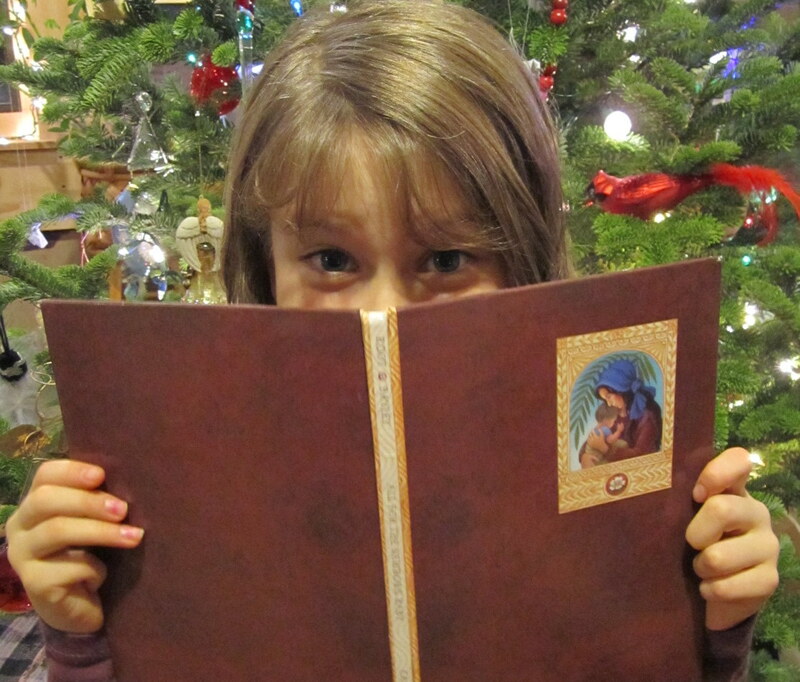 This Christmas I'm giving to those I love a book "...to have and to hold from this day forward..." I't's To Bless the Space Between Us by John O'Donohue. John O'Donohue was a philosopher, a poet, and an Irishman. The combination is evident in this wonderful book of blessings. The Irish have a special gift for blessing and "...O'Donohue explains "blessing" as a way of life, as a lens through which the whole world is transformed." It certainly works for me! Through these blessings, the space between us becomes palpable. For the past few days I've been haunted by the fact that among these contributions, including my own, there is almost no reference to a book that should be in every reader's library. Is it because we all take it for granted? 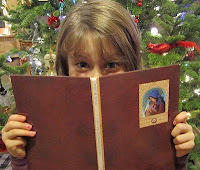 Or is there someone in this community who doesn't cherish a copy of The Little Prince by Antoine de St. Exupery? Do you remember the first time you read it or had it read to you? Do you remember reading it as an adult and being overcome with ??? Do you know someone who has never held it in his/her hands and heart and would probably love it as a Christmas gift? Thank you (again and again!)Lynn! I bought this for the girls for Christmas a few years ago and would you believe it is on our shelf but we have not read it? 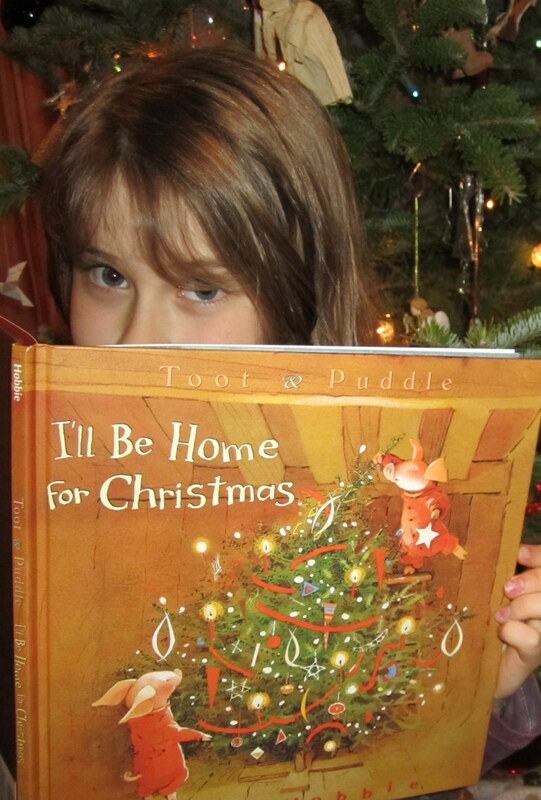 Thanks to you they will read it this January... is it a good read aloud? It's a good read any way! But it has levels, so if you're an adult encountering it for the first time, read it to yourself first.